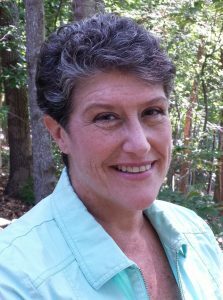 Louise Harrison is a conservation biologist who has served on Long Island in federal, New York State, and Suffolk County agencies as well as in leadership and consulting positions for not-for-profit environmental organizations. She has led task forces and community coalitions in protecting open space and co-chaired a broad community movement that saved Stony Brook’s last forest. She worked in Stamford, CT, as the U.S. Fish and Wildlife Service liaison to the Long Island Sound Study, where she concentrated on stewardship of Long Island Sound’s ecosystems, habitat restoration projects, and invasive species control. She has extensive field experience working in Long Island’s coastal communities and natural ecosystems, from the boroughs of New York City to Montauk and Orient Points and has received numerous awards for open space preservation efforts. She served for 9 years after being appointed by the New York State Assembly to the commission that created the Long Island North Shore Heritage Area and was a key leader in that planning effort. In 2009 she was awarded the STAR award from the U.S. Fish and Wildlife Service for her leadership in Long Island Sound stewardship. Louise lives in the Town of Southold on Long Island’s North Fork.